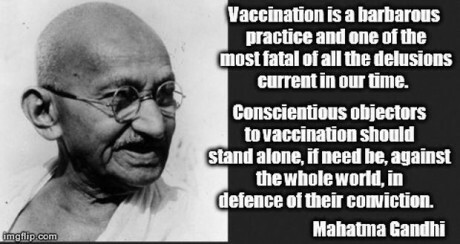 I had no idea Ghandi had written and published an entire book about the business of vaccines, the manipulations of how the medical industry gets people to take them, and the importance of taking a stand, even if you’re the only one, against mandatory vaccination. Always a visionary, he wrote this book almost a hundred years ago! Here’s a link to the entire text of Ghandi’s “A Guide to Health,” translated from Hindi, along with some key quotes and thematic outline. 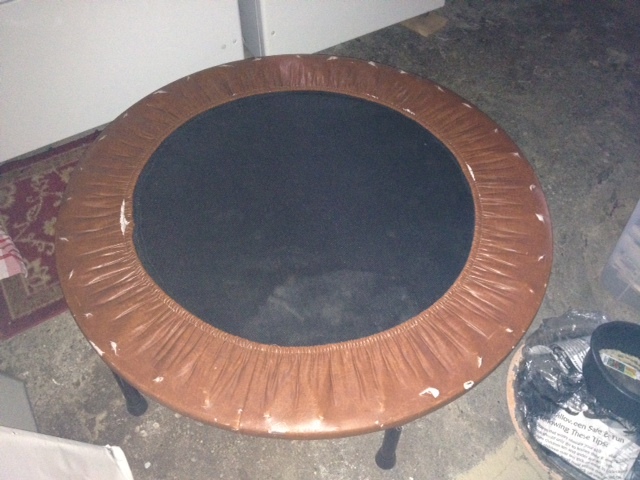 … Please click through to the above linked article for Brian’s excellent insights. Due to the TPP now being an actual agreement (as of 10/6/2015) that apparently prohibits even quoting a previously always copyright-free news headline or title, I’ll quote Ghandi, but I’m not quoting anything else from the New York Times here. It’s worth a read, though. Continued courage, blessings and thanks to those taking a stand for individual’s right to control and to own our own bodies. I find it interesting that both Ghandi and Vandana Shiva are such outspoken critics of the top-down manipulation of the sacred body and the sacred seed. Some things are sacred. The seed. The Elements — Earth, Air, Fire, Water, and Spirit. The Land. The Soul. My body is my temple. I do not consent to desecration. Do you?